I truly appreciated at the time how he was helping me get around the paperwork so that I could purchase the weapon. I now have a gun to protect my family. That was my original goal, and I met that goal. I wasn’t concerned about the manner in which I purchased the weapon, mainly because I know I don’t plan to do anything illegal or dangerous with it. But, how am I to know that someone else will be so confident in themselves, and the fact that they won’t cause unnecessary harm with that weapon? What if someone is looking to hurt people, and they realize that they don’t even have to tell the dealer where they live in order to purchase a weapon? In 2015, there were 946 firearm deaths in the state of Virginia. 374 of those deaths were homicides. 2014’s numbers were slightly lower at 889 and 339. Those numbers are not in the top 10 for leading causes of death in Virginia during those years. 3 percent of gun deaths in the United States in 2015 took place in Virginia. I started this by saying I am a Democrat that loves my guns. And this is still true…. with a caveat. I think it was too easy to get my gun, and I think that needs to change. I should not have to go through more paperwork and background checks to rent a $40 storage unit than I did to purchase a weapon. I know that it is not just as easy as snapping a finger and putting policy into action. If things were that simple then 25 million people would be losing healthcare right now. It will take concessions from both sides, and I just honestly don’t foresee that happening. The NRA claims to support new regulation on bump fire stocks, the attachment that can turn a semi-automatic rifle into an automatic weapon. But a few months after the shooting, we still haven’t seen any pressure from Congress. 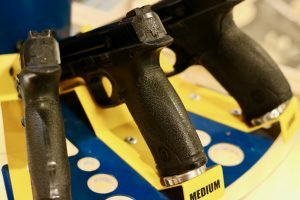 House Speaker Paul Ryan called for a regulatory fix for bump fire stocks earlier, rather than passing legislation that was proposed in the House and Senate. “We think the regulatory fix is the smartest, quickest fix,” he said when asked about how to address the devices. But the agency in charge of these types of issues (the Bureau of Alcohol, Tobacco, Firearms and Explosives) has yet to take any steps in that direction. The NRA and their allies spent millions on the 2017 Gubernatorial election in Virginia, as did the gun control groups. Ralph Northam, the Democrat and eventual winner, has always claimed to want to tighten up gun laws. “In his first weeks in the Virginia Senate, Northam met Virginia Tech survivors who came to Richmond to advocate for commonsense gun safety reform, and he has been partners with them ever since. He proudly voted to close the Gun Show Loophole and to keep the One-Handgun-A-Month limit,” read a statement on Northam’s campaign website. The gun control groups loved this, and fed his campaign millions. Meanwhile, the NRA and other like-minded groups spent millions in their own right for advertisements across the state. There aren’t many issues that are as sensitive as gun control on the national stage. Banning guns will not stop the violence, and it is naive to think so. Therefore, I fully support the right to bear arms. However, I don’t support the ease with which we can acquire these firearms. The bottom line is although we cannot stop criminals from accessing guns in an illegal manner, we can work to ensure that those who do purchase weapons are properly vetted and documented. Yes, we have a right to carry a weapon – as long as all necessary information is recorded in a responsible manner.